Storage for departments is maintained on campus servers and is organized into various network drives, also called fileshares. 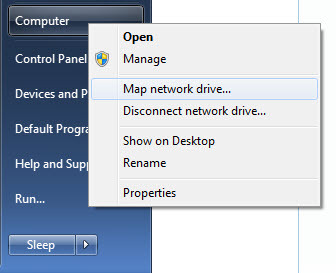 The drive letter will auto-select the next available letter. Fill in the Folder: field, by typing the server name (ex. \\berling) and the share name (ex. \scratch disk$) combined, you'll see: \\berling\scratch disk$. 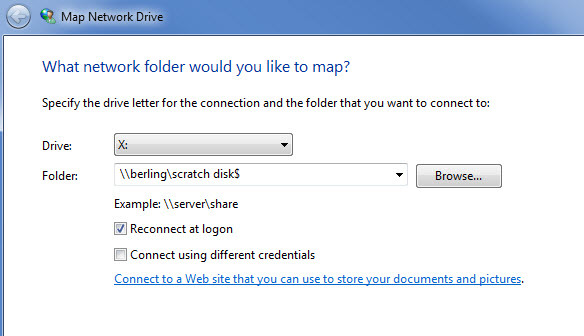 Once the share has been mapped from your account on a particular computer, you will be able to get back to the fileshare through the Computer option. In the Folder field, type in \\jun-campusfs01\shared_drive_name$, then click Finish. In the Folder field, type in \\uashome\users$\username, then click Finish. In the Folder field, type \\sync-al\files$\computer name\username, then click Finish. This describes how to map a campus fileshare on your Apple OS X machine. 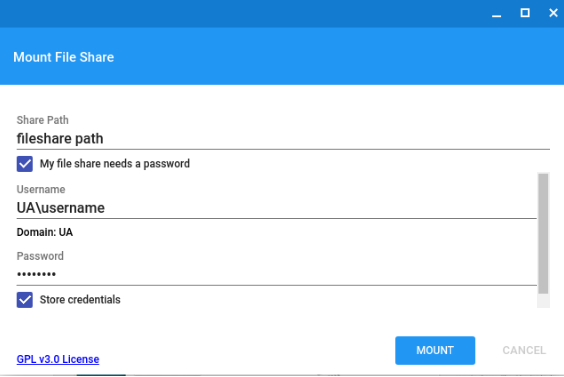 Mapping your account allows you to access any files that you have stored on the network. 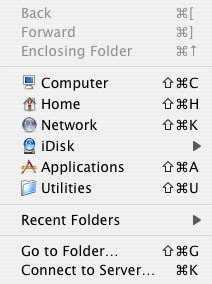 In the Finder, click on the Go menu, select Connect to Server. 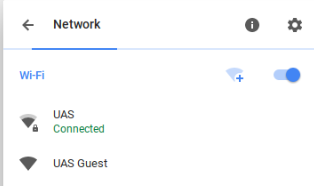 Google has provided an app through which you can connect to network fileshares. 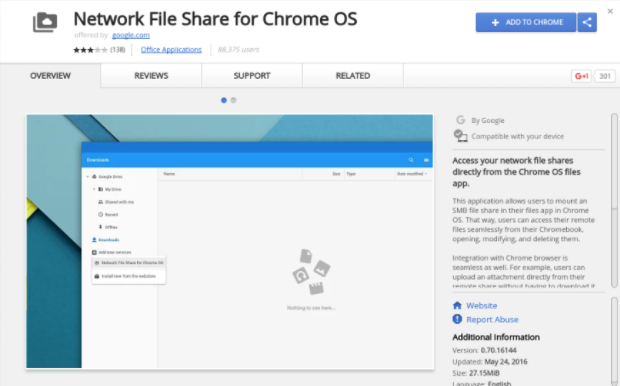 Your UA Fileshare will now be accessible through apps installed to your Chromebook. Please note that Chromebooks do not have a file explorer. You will instead need to access your documents through apps such as Google Docs, Sheets, etc. 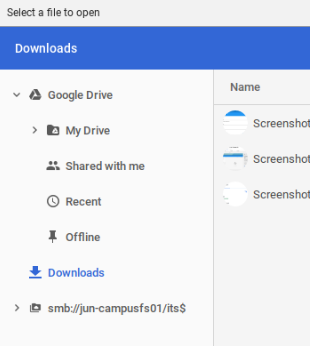 Can we restrict access to individual folders on a campus share? Simply contact the helpdesk with a request to specify permissions to the particular folder in question. We'll need to know which fileshare & folder (ex: \\berling\its$\Helpdesk\Professional Staff\) and what access (read/write/both) should be granted to that directory.